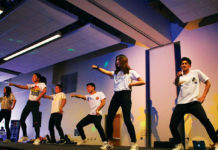 On Sunday, Jan. 27, the second and third floors of the HUB were filled with over a thousand people from around Southern California who were given admittance to the third annual Highlander Convention. 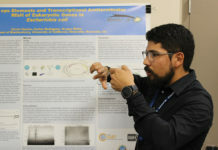 Before admission started at 11 a.m. students lined up as far as the beginning of the UC Riverside timeline mural; by afternoon Highlander Gaming (HLG), the organizers of the event, ran out of wrist strap tickets after about 800 attendees had been allowed into the main halls. The all-day convention was hosted by HLG and sponsored by CORSAIR, MSI, GIGABYTE Technology, NVIDIA, Seasonic, ASPB, Riot Games and Tespa. Throughout the day, panels, tournaments, a game room dedicated to “osu!” — a computer-based rhythm game — an artist alley and many other activities were held on the second and third floors of the HUB. Throughout the day the big screen at the back of 302 broadcasted esports competitions, such including 1v1 fights in Overwatch and League, as well as Fortnite matches later in the night. 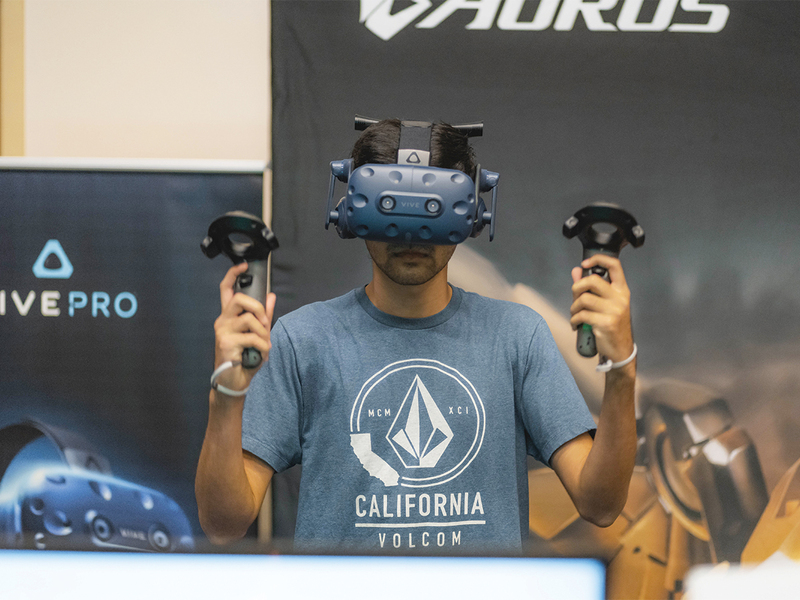 On the sides, sponsors CORSAIR, MSI, Seasonic and VIVE set up booths to showcase their latest products. Some booths, like CORSAIR, were allowing visitors to play with “Beat Saber,” a rhythm-based game of motion-based inputs, with their Virtual Reality headsets. Also in HUB 302, a row of monitors were set up for attendees to compete in the convention’s “Super Smash Bros. Ultimate” and “Super Smash Bros. Melee” tournaments; the monitors were either as modern as a computer monitor or as old as a fat-back TV from the 90s. Over 200 people signed up for the tournament; anyone that wasn’t competing but wanted to play could do so in the Free Play area in HUB 367. This was James Almaguer, a first-year undeclared student, and Christopher Padilla’s, a third-year psychology major, first time attending Highlander Con. Padilla came to support Almaguer and check out the “osu!” room. Kara Trowbridge, a first-year undeclared student, has been playing smash for 10 years but it was not until this year’s Highlander Con that she decided to participate in a tournament. “Honestly, meeting other people who like the same thing as you is really fun,” Trowbridge said. Trowbridge’s friends came to support her as she competed in the tournament;. their residence hall had actually just held a Smash tournament earlier in January, and Trowbridge found that playing Smash has brought them closer together. One of the events in the convention was a cosplay competition. The first prize winner received a $100 Michael’s gift card; the winner turned out to be Maddy Ganley. 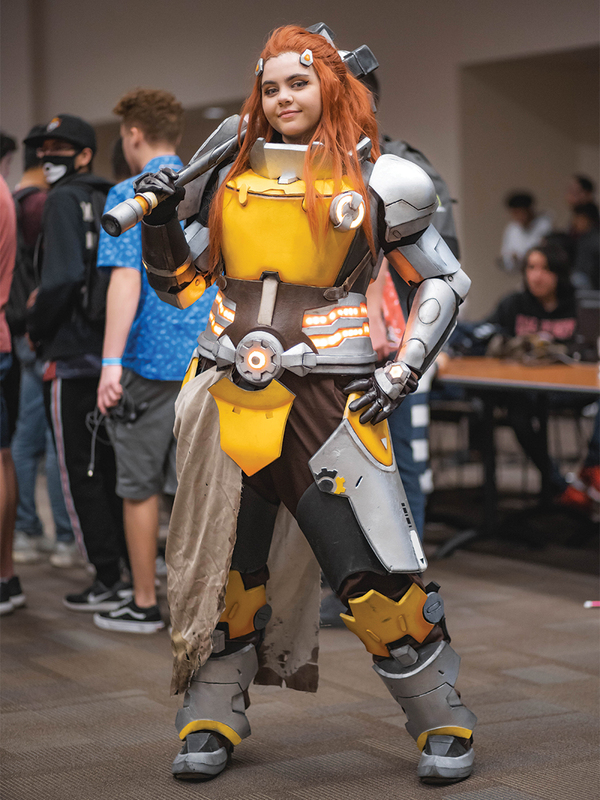 Ganley, a fashion and designing student from Pasadena City College, cosplayed as Brigetta, a character from Overwatch. Ganley heard about the cosplay competition from her boyfriend at UCR,and said that her cosplay was made of EVA foam, acrylic paint and LED lights.The overall cost of her cosplay was around $250 to $300; “it’s not a pretty number to look at,” Hanley joked. 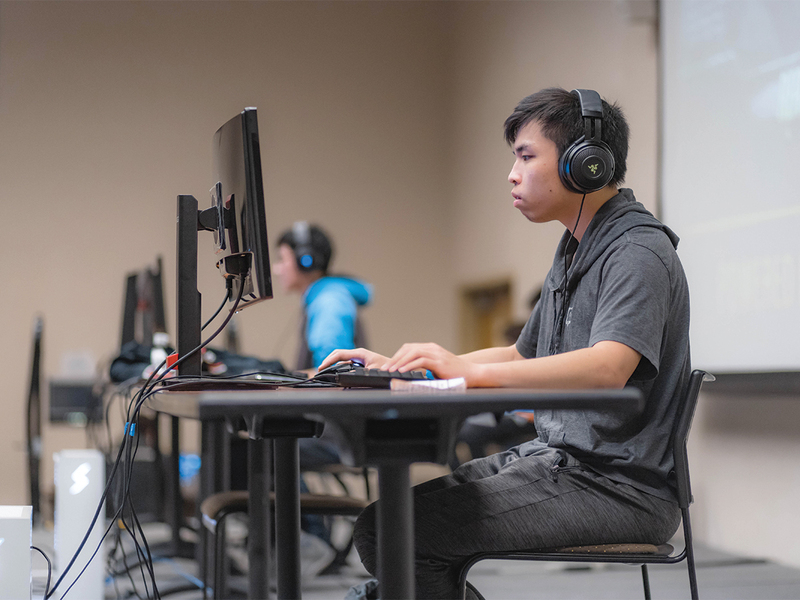 Highlander Con was planned and staffed by the members of HLG, an organization on campus that not only promotes esports and the gaming industry but also holds conventions like Highlander Con. 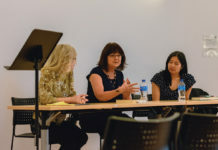 “(HLG) is more than just a simple 20-person club,” said Allen Wang, third-year business major and director of graphics for the group. Wang spoke to the Highlander about the busiest areas of the convention. “The osu! room was stacked with people who brought their entire desktops and lugged it to the second floor. We think that’s an important part of Highlander Con to keep that sentiment of being able to play games together in one big room and have a day for gamers,” explained Wang. The first Highlander Con was meant to be a place for people to bring their own set ups and play. For this year’s convention, the sentiment was kept by providing the Free Play room in HUB 367. The first Highlander Con was held in 2017 with 628 people attending and events held in the third floor only. Since then, the convention has grown in size and has expanded into the second floor of the HUB. This year, the convention was meant to be in November, but due to logistics it was moved to January where it was combined with their Build-a-PC event. HLG plans to hold Highlander Con again next year. For anyone interested in joining HLG, you can find them on Highlander Link (@Highlander Gaming) or on their Discord server (@HLG).